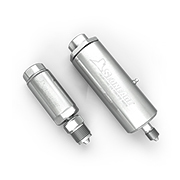 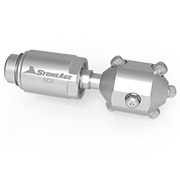 The SL Swivel was designed to be a versatile, compact union for use in conveying high pressure fluid from a stationary line to a rotating or twisting assembly. 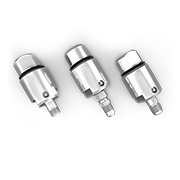 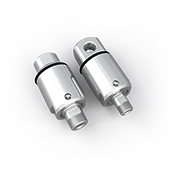 Due to the unique seal design, the torque necessary to rotate the swivel is relatively small, even at high pressures. 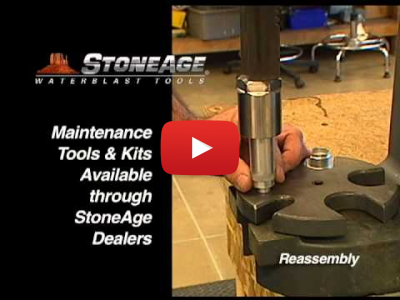 At 10,000 psi only 5 in-lb is required for rotation. 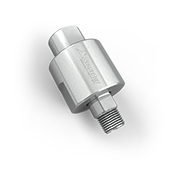 SL swivels feature replaceable seals, smooth ball bearings, stainless steel construction and low static torque for easy rotation.